Dave Broom is a Glaswegian who gets paid to drink and then write and talk about it. He’s been getting away with this for a over a quarter of a century. In that time, he’s been the features editor on a weekly drinks title, a cellar rat in a Margaret River winery, and written about jazz and avant-garde music, but for the last two decades has been a freelance writer on spirits. These days he’s a regular contributor to a host of international titles where he specialises in spinning tales about ardent spirits. Around half of his time is spent teaching and talking. 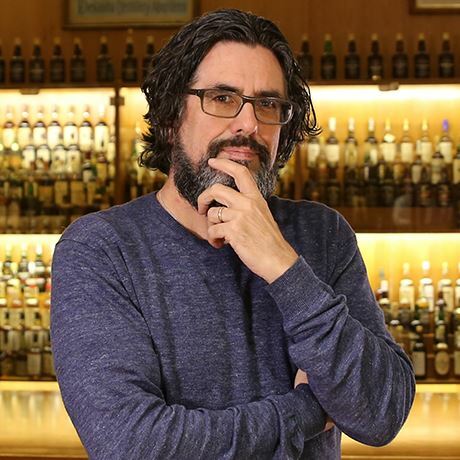 He fronts the on-line spirits training course www.theworldmasterclass.com, is a lecturer for the WSET’s Professional Certificate in Spirits (and wrote their textbook), teaches and designs in-house training courses for distillers and is regularly spotted on his hind legs at various international consumer fairs. He’s written a dozen books, was the 2013 IWSC Communicator of the Year, is a Master of the Quaich and a Kentucky Colonel. These days, he lives on the south coast of England (where he has a beach hut), but also owns a field on Islay which may one day have a but ‘n’ ben on it. He’s a music obsessive, likes hiking and sailing (though not at the same time) but never gets round to either as he’s on the road most of the time. He supports Partick Thistle which, if you know anything about football, explains everything you need to know.